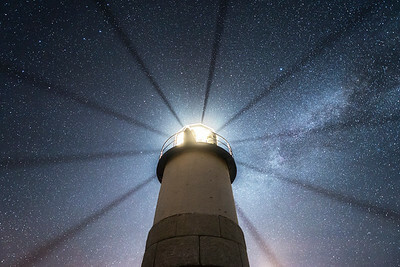 Due to the recent popularity of night photographers visiting Marshall Point Light we have planned this workshop at the end of the weekend to limit the amount of disruptive car headlights, flashlights, headlamps, etc. This workshop has been planned around the New Moon cycle to maximize the visibility of the Milky Way and other features of the night sky. We have also planned this workshop around low tide, which is crucial for this location since most of the rocks around the base of the tower are incredibly slippery or not accessible during high tide. This is a one night workshop where we will meet on either August 4 or 5 depending on the local weather forecast. We will spend 2-3 hours during our meet-and-greet discussing camera settings & other pre-shoot information and 4-5 hours photographing in the field for a total workshop time of approximately 8 hours. 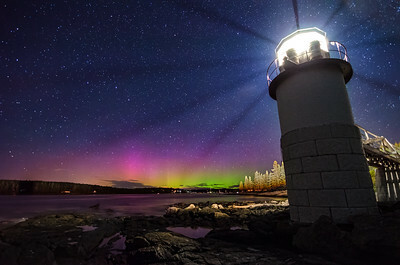 Marshall Point Lighthouse in Port Clyde, Maine is one of our favorite spots to photograph the features of the night sky while incorporating an iconic lighthouse as a foreground element. 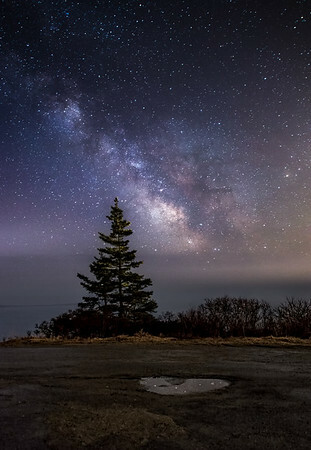 The skies over the Atlantic Ocean in Port Clyde offer star gazers a chance to see what they may otherwise be missing. 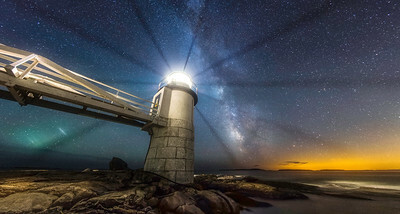 Some of the great aspects for shooting here include the long walkway out to the tower, the rocky outcropping & tidal pools at the base of the tower, and most importantly the fantastic "wagon wheel" feature coming from the lighthouse itself, caused by the astragals in the tower cap. 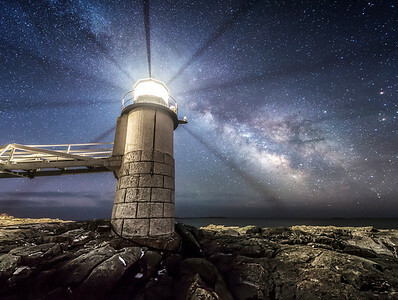 In The Field Photography: In early August the Milky Way appears vertically in the sky shortly after sunset. We will be set up & shooting around sunset and through the night for 4-5 hours. We will be covering the entire skill set of shooting at night including safety, camera settings, focusing, composition, lighting etiquette and more. We will also cover the process of shooting horizontal & vertical panoramas as time permits. Mike and Sonia will help each participant with all the techniques listed above, troubleshooting, etc. Physical Requirements: Boots or shoes with decent tread are necessary. The base of the lighthouse tower at Marshall Point is surrounded by uneven rocks, seaweed & tidal pools and can be slippery. Anyone who has balance problems should contact us before signing up. Availability: This workshop is limited to a maximum of 4 participants. Investment: $375 per participant - Alumni discount of 20% if you've taken a previous workshop with Taylor Photography.